The caretaker follows the school’s snow and ice clearing plan. Main walkways to school (from the school’s boundary) are cleared. If it has been impossible for the caretaker to clear all routes into school, then the senior leaders will make alternative, temporary arrangements for pupils to use the entrances that are safest. School will sometimes (not every time) contact parents via Twitter, texting and the website, about taking special care when journeying to school when school is open and when it is slippy. School will always contact parents via Twitter, texting, the website and radio stations when the school has decided to close due to weather conditions that compromise safeguarding. 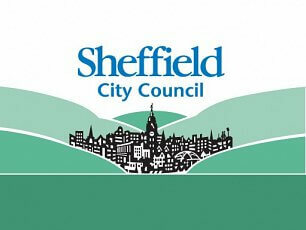 It is Streets Ahead’s responsibility to grit the road and provide grit bins for footpaths. Streets Ahead only grit footpaths in the busiest areas. They do provide grit bins. Queen Mary Road is a Priority 2 Road. This means that it will be gritted after the main roads are gritted. Streets Ahead have recorded a request for a grit bin to be positioned on Queen Mary Road and the request will go in for review in Spring 2018 when they will decide where the grit bins will be placed next year. If parents want to add their comments or concerns to this request, they can contact Streets Ahead on 0114 273 4567 or email streetsahead@sheffield.gov.uk or write to Streets Ahead, Floor 2, Howden House, 1 Union Street, Sheffield, S1 2SH. The grit bins on the school site have been purchased out of the school budget. School is not required to provide grit for the Council’s streets. It is Streets Ahead’s responsibility to make provision for gritting during snow and icy weather conditions. School staff won’t be asked to grit the streets. This is not in their contract. o If the decision is made to grit outside the boundary this should form part of the gritting plan and must continue especially as you will have created an expectation amongst parents / members of the public that the pathways will be gritted and where this doesn’t happen there could be the increased risk of falls on untreated surfaces. Consideration should be given to how this activity would be carried out in the event of staff absence. o The length of the pathway is significant so a decision would need to be made on the limits for clearing / gritting as this will have resource implications both in materials and staff time. o There is also the potential risk of injury for staff who may be involved in clearing pathways beyond the school boundary, which could have implications for the school’s employers liability insurance. The pathway at the site is public highway and will fall under the responsibility of Streets Ahead, rather than the school. In consideration of this and the points above our advice is that the school do not undertake any gritting beyond the school boundary. The Council’s website has designated Queen Mary Road as a Priority 2 route for gritting, however whilst this covers the road, Streets Ahead do not routinely grit the pavements. To confirm, staff at Prince Edward Primary School will not grit roads or footpaths beyond the school boundary. As advised, you can contact Streets Ahead using the contact details above if you wish to complain or know more about the number and location of grit bins; and the arrangements for highway and pavement gritting.